Are You Prepared for the Holiday Blues? – TAM Card® Nation in Vegas! Are You Prepared for the Holiday Blues? During November, December and January, the holiday blues can affect many people causing them to self-medicate or turn to drugs and alcohol for relief. The odds of having drugs in your establishment are not only greater during the holidays, but also with the rise in non-medical use of prescription drugs. If you work in or run an establishment that serves or sells alcoholic beverages for on-premise or off-premise consumption, you should always take precautions to safeguard your company, yourself and your community. As you know, drugs bring unwanted trouble into an establishment, such as: negative press/media, violence, fights, overdoses, higher levels of intoxication, etc. Because the holiday months are peak periods for drug and alcohol use, you should pay even more attention and observe what is going on around you. Illicit drug use is widespread. Here are some national and Nevada specific stats that are alarming and we’ve included links to pictures of these drugs so that you can identify them when you see them. The most commonly misused pain relievers are: Vicodin (acetaminophen and hydrocodone), OxyContin (oxycodone), Tylenol 3 (acetaminophen and codeine phosphate), and Percocet (oxycodone and acetaminophen). So, how can you keep drugs out without having to search and frisk everyone who comes through your doors? Partner with local authorities and train your staff—Local law enforcement are your partners and can help you provide training to your employees. Communicate expectations—Make sure that your new employee orientation and employee handbook covers ways to handle drugs in your establishment. Clearly state that drug use is not tolerated and give employees information about who to notify when someone (whether a guest or a colleague) is using illegal drugs on the establishment’s property. Increase your security staff—Your security staff should be present, visible to your guests and well-trained in detecting the behaviors and indications of drug use. 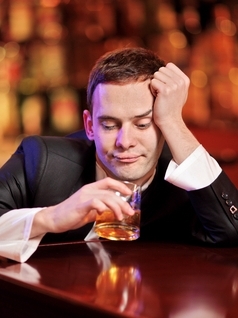 Estimate BAC—Remember to calculate the BAC (Blood Alcohol Concentration) of your guests. 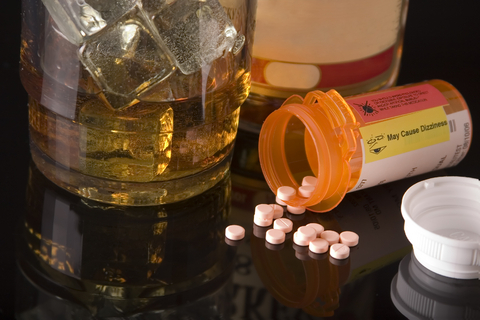 If you notice that someone is showing the effects of the alcohol sooner than you expected, then you should be cautious as they may be taking prescription pain relievers or using some other substance. Encourage reporting of suspicious behavior—You need the eyes and ears of your employees if you are going to keep drugs out of your establishment. Heighten their awareness and give them observation tips so that they are monitoring their surroundings and reporting suspicious or unusual behavior to security or management. Don’t forget to reward your employees for reporting concerns. What gets rewarded, gets repeated. Post information about illicit drug use at your establishment—Hang posters about drug use and abuse and your company’s policies for illicit drug use at your establishment in restrooms and employee break rooms. What measures do you take to keep drugs out of your establishment? Previous Big Holiday Parties Are Upon Us! Next ID Scanners – Friend or Foe?